The creators of the Tor Browser have decided to ally with expertise in computer security in order to protect the users’ privacy. 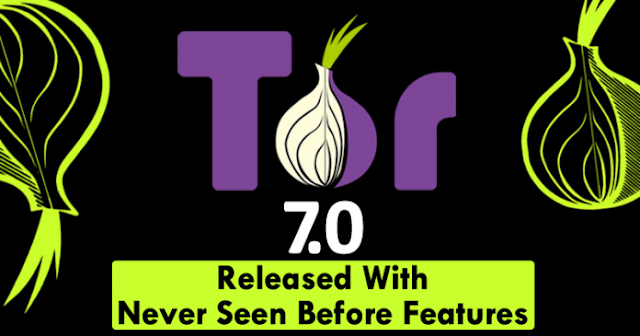 Hence, recently, Tor Browser 7.0 released with multiple extraordinary features. Navigating anonymously is not an easy task especially since everything we do gets registered. However, it is possible to “protect” our online privacy through additional tools that help us to hide our identity. For those who want to surf the Internet without a trace, Tor Browser is undoubtedly the best solution. Today we will know the news of Tor 7.0 that was released recently. Tor Browser allows users to browse the Internet anonymously. The Tor Browser 7.0 is the new version of the browser that ensures the best privacy for your browsing. Just like previous versions, this new version is based on Firefox (in this case on Firefox 52 ESR), taking advantage of all the new features in multi-process mode, making it more like Chrome, and content sandbox. The new Tor Browser Bundle is available for Windows, Linux, and MacOS.